We have been seeing new members signing up! YAY! Welcome to each of you! Look around, if you don't find topics to add in discussion threads, suggest one, or start one! Set up your profile page! Add you art, and a bit about you, or the organization you represent. Do you do events? Tell us about them! Let us help you promote them (as part of your membership here). We'd love to see some comments and activity! Thanks for joining! Hey Arts Supporters in New Mexico! We need your help!Please support Senator Pete Campos’s amendment to House Bill 2 to increase arts services grants by $255,000. Call or email members of the Senate Finance Committee (https://www.nmlegis.gov/Staff_Directory?Entity=LFC) and ask for their support for the first increase in 20 years. These additional funds support New Mexico jobs and will be distributed across the state. Call or email ASAP! NEW UPDATE ON ARTS FUNDING ISSUE: The House Appropriations and Finance Committee will be reviewing HB 485 to increase arts services grants by $500,000 today, March 2nd in Room 307 at the Roundhouse. The meeting starts at 10 am. The bill is 16th on the agenda. To keep updated on the meeting progress watch the live stream available on the legislature website. Please support Senator Pete Campos’s amendment to House Bill 2 to increase arts services grants by $255,000. Call or email members of the Senate Finance Committee (https://www.nmlegis.gov/Staff_Directory?Entity=LFC) and ask for their support for the first increase in 20 years. These additional funds support New Mexico jobs and will be distributed across the state. Call or email ASAP! There has been a flurry of activity, with quite a few new members! Woohoo! Welcome to all of you. Here is just a quick note in how to use this community. If you want to add an event, sign in, and click the Events tab in the main menu bar above. There you can click "Add an Event". Upload a photo and fill in the details. If you have more than one event, add them with the most near one first. Fill in your page, ad photos, bio and what ever you want us to know about you! If you have questions about using this community, simply post a comment on this post. Creative New Mexico is a statewide organization devoted to building the awareness of arts and culture for our quality of life and economic well-being. 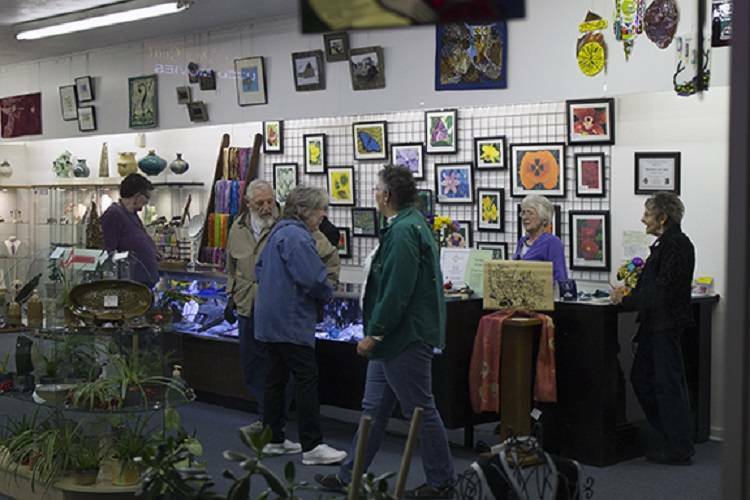 Our organization supports preserving the New Mexico Arts grant fund budget. NM Arts overall level of funding is 27% below the level it was 15 years ago. While the level of funding is down, the number of organizations funded has increased. 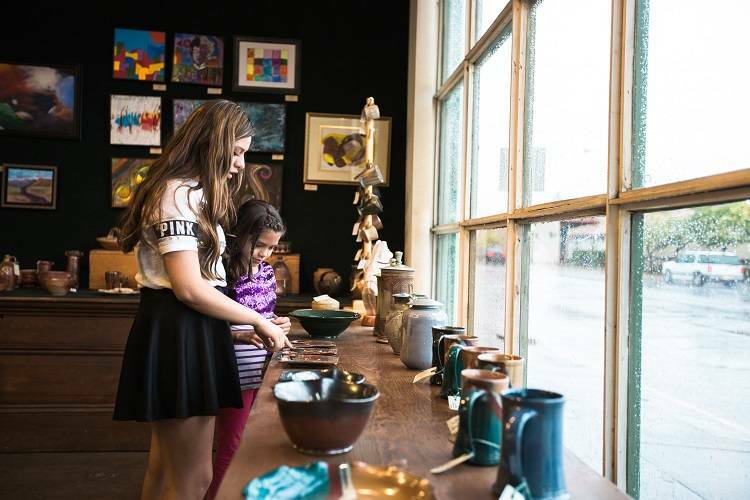 The organizations receiving these grants from around the state deliver important programs to their communities in arts education, performances and exhibits, and arts-based economic development activities. The most recent UNM Bureau of Business & Economic Research report indicated that broadly, employment in the arts and cultural industries in New Mexico was equal to nearly one in ten jobs, more employees than the construction and manufacturing industries combined. While the Department of Cultural Affairs has a budget for the New Mexico Arts grant fund, the budget has not seen significant increases for many years. It should be noted that a vast majority of the organizations with grants are non-profits working for the public benefit and over 60% of these have revenues of less than $300,000. So even a small reduction in funding will significantly affect them. A majority of the organizations with NM Arts grants provide some youth programming and a quarter of these provide dedicated programs for children and youth. In the past, we have advocated that the New Mexico Arts grant fund should be increased to restore the levels provided historically. We strongly support this initiative, since arts and cultural industries generate close to $150 Million in revenues for state and local governments in New Mexico. Plus, importantly they are a primary attraction for statewide tourism. No increases in the New Mexico Arts grant funding could have more than just negative economic consequences. Please contact us at news@creativenewmexico.org to discuss further. We'd like to offer our heartfelt appreciation and gratitude to all of our Veterans, past and present, as well as all of those who server so selflessly. Since we are writing here, we can also update you on the changes and updates we are making on this community. If you have a calendar item or event to share, please do so in the Events tab in the main menu above. To post or comment in a sub Forum such as Artists, Arts Councils or such, open the Forum menu and click the area you wich to participate in. When you Join (Sign UP) you will get your own profile page, where you can share photos and tell other members about yourself, your art and or your Art Business. To be able to comment or post, you must be a Member. Membership is free, but all member requests must be approved to ensure you are a New Mexican and in the Arts and Culture realm. Artists, Art businesss, Museums, Cultural Centers, Dancers, Musicians, Storytellers and more. Check out the post in Arts Councils to get links to book performers and to share your thoughts on the questions in that post. Thanks for reading and we hope to see you here! Call for Artsists from Raton's Old Pass Gallery! Let's show Raton and our tourists our great talent in the area and encourage everyone to shop locally for their Christmas Gifts. National Parks Arts Foundation: Three Amazing month long artist residencies with stipends available. Deadline September 7, 2018. Two residencies at Chaco Canyon in New Mexico and one in Loggerhead Key in Florida. All media accepted! Each with $2,000 stipend. Artist couples especially welcome. After lots of hard work and the support of many, we were unable to save this great fair. Lets give them a farewell BANG! Attend the final event June 22-24 at the Manuel Lujan building on the Fairgrounds in Albuquerque. Will miss you for sure. Events for the whole family! All weekend long. Raft rides, music, dancing, arts & crafts, duck races, kids events, food and more! School and Public Libraries. 21st Century programs and afterschool programs in New Mexico. In the last few months I have read of the demise or potential demise of two popular annual New Mexico art shows. I am terrifically saddened by this. It is more than missing the art and the camaraderie of the artists. It is a loss of economic opportunity for artists in our State. Reasons for the cancellation or potential cancellation of the events range from the difficulty of managing them to a lack of government contribution to the expenses. In the latter case, the potential for reduced government involvement in underwriting community events has been discussed for a few years. Organizations have long been encouraged to find additional funding sources. For whatever reasons, the sponsors of these events been reluctant to find additional underwriters. Maybe it is the belief that the governments should see the benefit in sales and lodgers' taxes the events bring to the communities. Maybe it is the belief that a commercial sponsor would somehow "taint" the event. I think the local government sponsorship train has left the station in most areas. It is time to re-evaluate commercial sponsorship, underwriting, or other sources of outside funding. c) assist local organizations to connect with potential sponsors.